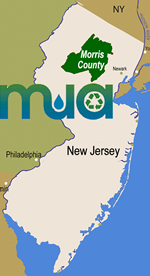 The MCMUA Water Division provides water to municipal and commercial water systems serving Morris County. The water is from eight wells drilled into deep underground aquifers in two well fields. 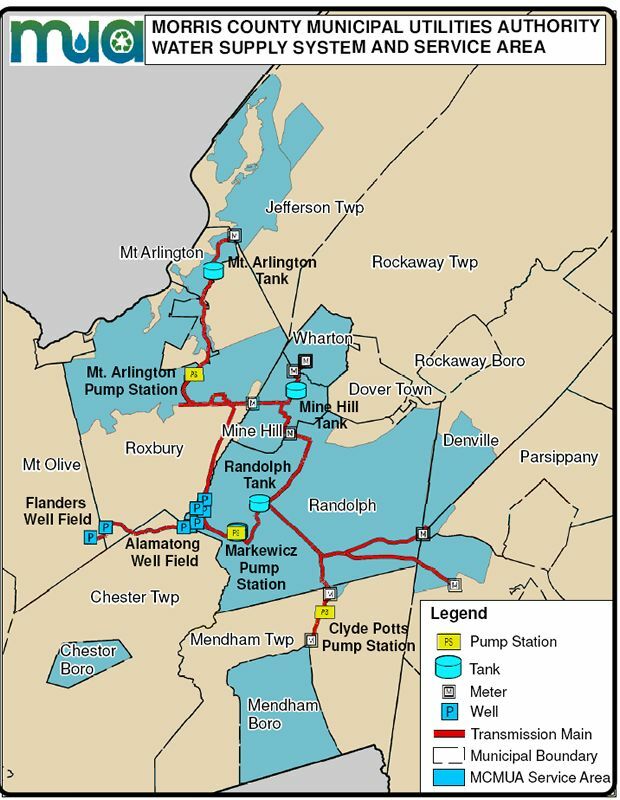 These wells pump up to 218 million gallons per month. How Water Towers Work - The Morris County MUA water system is fortunate to have a large capacity of water storage using its tanks and towers to help efficiently and reliable provide water to its customers. Below is a video describing in general how water towers work which is similar to how the MCMMUA water system works. What does It Look Like Down The Well? - The video below tankes a trip down one of the MCMUA wells.